97% of consumers search for local businesses online. Your local Google+ page connects you with customers on Search, Maps and Google+, no matter what device they are using. 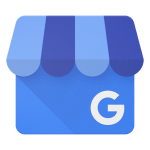 If you’d like to add your business to Google My Business, follow this link.